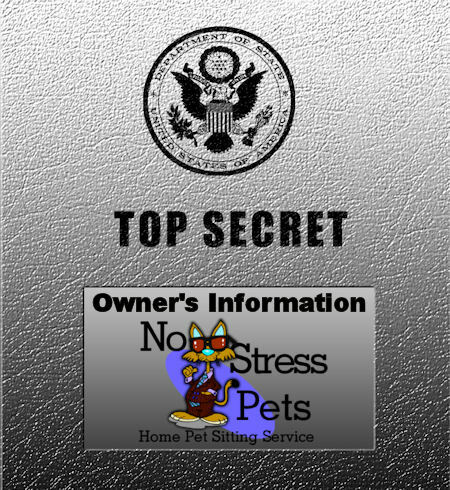 No Stress Pets Home Pet Sitting Service - Professional Pet Sitter Providing Pet Sitting Services To Eglin AFB, Niceville, Fort Walton Beach, Crestview, Destin, Shalimar, Maryesther, Santa Rosa Beach, and the surrounding Emerald Coast area of Florida. There is not a lot to put on this page. My privacy statement is really simple and to the point. I will not release your information to anyone.